Assante was born in New York City and raised in Cornwall, New York, the son of Katherine (née Healy), a music teacher and poet, and Armand Anthony Assante, Sr., a painter and artist. His father was Italian and his mother was Irish, and was raised in a devoutly Roman Catholic family. 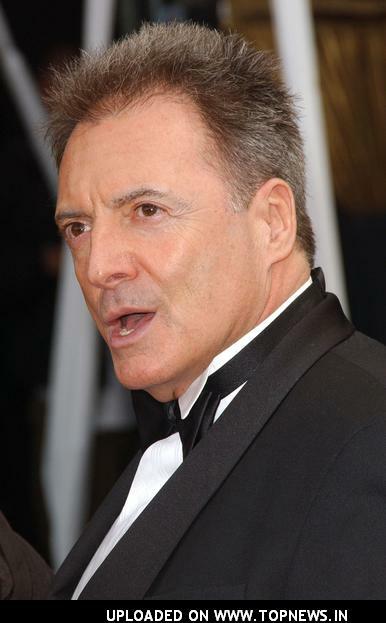 Assante was married to Karen McArn from 1982 to 1994, and has two daughters, Anya and Alessandra. During the 1970s, Assante was a regular on two NBC soap operas, How to Survive a Marriage as Johnny McGee and The Doctors as Dr. Mike Powers. His first film was The Lords of Flatbush , although the title credits misspelled his last name as Assanti. A role that brought him greater attention came in 1980's Private Benjamin as a handsome Frenchman who becomes the love interest of a U.S. soldier played by Goldie Hawn. Assante's somewhat sinister look has made him a popular choice for tough-guy heroes, as in his starring role as private eye Mike Hammer in the film I, the Jury or as Mafia gangsters like that of Michael Moretti in Sidney Sheldon's Rage of Angels. He portrayed the notorious Bugsy Siegel in a comedy, Neil Simon's The Marrying Man , another mobster in Hoffa starring Jack Nicholson, and crime kingpin John Gotti in the 1996 made-for-television biopic Gotti, for which he won his Primetime Emmy Award for Outstanding Lead Actor in a Miniseries or a Movie. Other notable film appearances include one as a Cuban bandleader in The Mambo Kings opposite Antonio Banderas and in the adaptation of the science-fiction story Judge Dredd with Sylvester Stallone, his co-star in two previous films. More recently he appeared in American Gangster with Denzel Washington and Russell Crowe. He has had a recurring guest star role in several episodes of NCIS, playing the international arms dealer René Benoit. Outside of the U.S., he has participated in several film projects in European countries like Macedonia, Turkey, Serbia, Romania and Bulgaria. Whole or part of the information contained in this card come from the Wikipedia article "Armand Assante", licensed under CC-BY-SA full list of contributors here.